We are a leading Exporter of ice cans, tube ice plants, ice plant, block ice plants, can filler and grid storage system from Ahmedabad, India. Backed by a skilled team of professionals, we are offering supreme quality Ice Cans. This high functionality ice cans is precisely designed by our adroit professionals using excellent quality components and advanced technology. Our offered ice cans is extensively praised by our valued clients for its high-utility features. Moreover, this ice cans is examined at our quality testing unit before the final delivery. 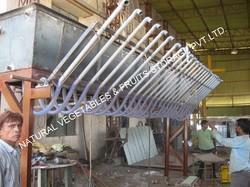 Owing to our rich industry experience in this domain, we are offering a wide range of Tube Ice Plants. Extensively used in various industries, such as chemical companies, concrete companies, food processing companies, fisheries, poultry-processing, meat plants etc. Keeping in mind the actual needs of our clients, we provide this range in customized options. Besides, clients can avail this entire array at affordable prices. With sincerity and hard work of our professionals, we have carved a niche for ourselves in this domain by offering Ice Plant. 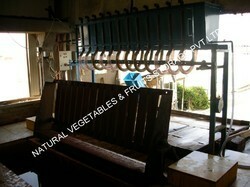 The offered ice plant is manufactured using optimum quality raw material and advanced technology. This type of cold storage is mainly used for long term storage of fruits like apples, pears and other high value produces. Additionally, our offered ice plant pass through various quality check procedure under the supervision of quality controllers, in order to ensure their flawlessness. 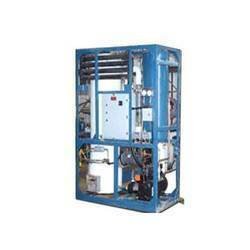 Besides, this ice plant can be customized as per the specific requirement of the client. We are remarkable entity, engaged in offering an excellent range of Block Ice Plants. Our offered range is manufactured by our dexterous professionals using high grade material and cutting-edge techniques. We conduct a strict check under the supervision of a team of professionals in compliance with set industry norms. Further, we provide a wide range of this ice plant that can be available as per the specifications provided by our clients. With the constant support of our expert team, we are engaged in manufacturing, exporting, importing & supplying a wide assortment of Can Filler. This can filler is designed by our skilled professionals using superior quality components in order to ensure flawlessness and longer service life. Moreover, our offered range is supervised under the guidance of our quality c controllers. Our clients can avail this can filler from us at market leading prices. We have earned our position as the leading manufacturer, exporter, importer & supplier of high performing Grid Storage System for our esteemed clients. Our offered grid system is highly praised by our clients for their easy operations and low maintenance. In order to meet maximum clients' satisfaction, this grid system can be customized in various options. 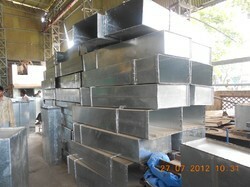 Clients can avail this grid system from us at industry-leading prices. 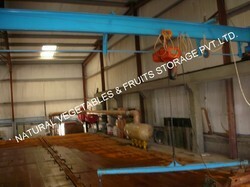 This type of cold storage is mainly used for storage of grains, dry fruits, spices and non resprerate produce. In this type of storage, constant pre-determine temperature is maintained throughout the room.